Unfortunately, the gift of Apple Music on the Watch hasn’t been bestowed on us quite yet (although it should be available soon). 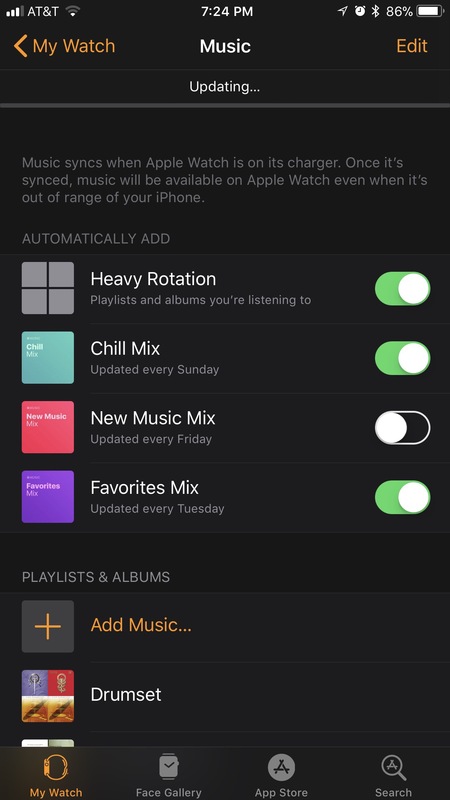 However, the ability to sync music of your choosing over to the Apple Watch for local playback has been a feature since watchOS 1, even if it didn’t have as strong of a use case as it does today. The Series 0, 1, and 2 Apple Watches have 2 GB of storage available for music storage, and the new Series 3 with LTE has been expanded to 8 GB. Note that the non-LTE version has the same 2 GB limit. The process of selecting music is very straightforward. Just head to the Watch app on your paired iPhone and look for Music under the My Watch tab. 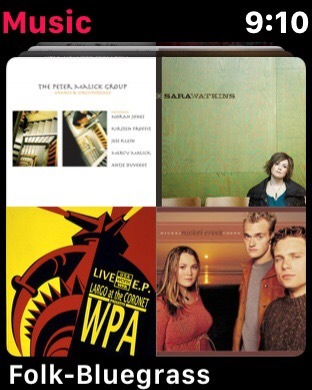 Once inside, the music selection interface will seem pretty familiar to anyone who uses iOS. 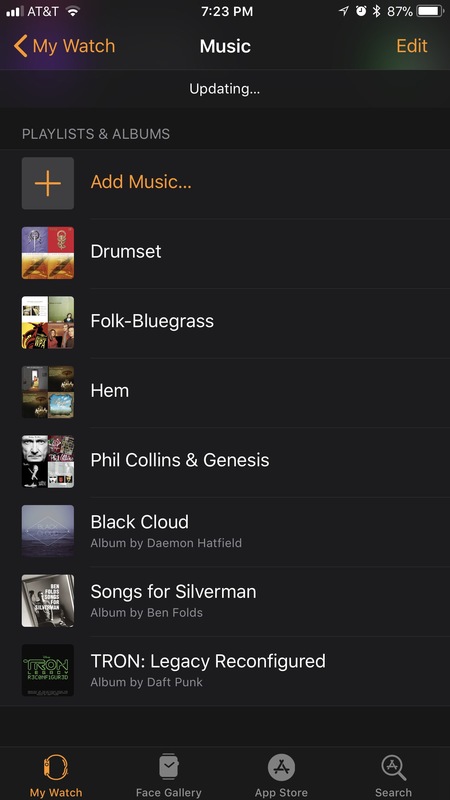 The first items you are presented with at the top of the screen are some of Apple’s customized Playlists. 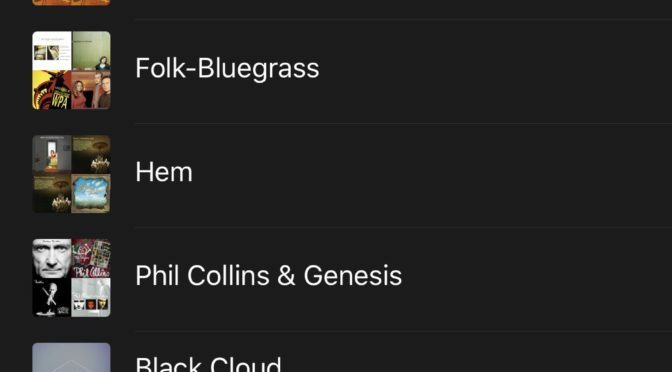 If you enable any of Heavy Rotation, Chill Mix, New Music Mix, or Favorites Mix Playlists, they are updated at the intervals listed above. 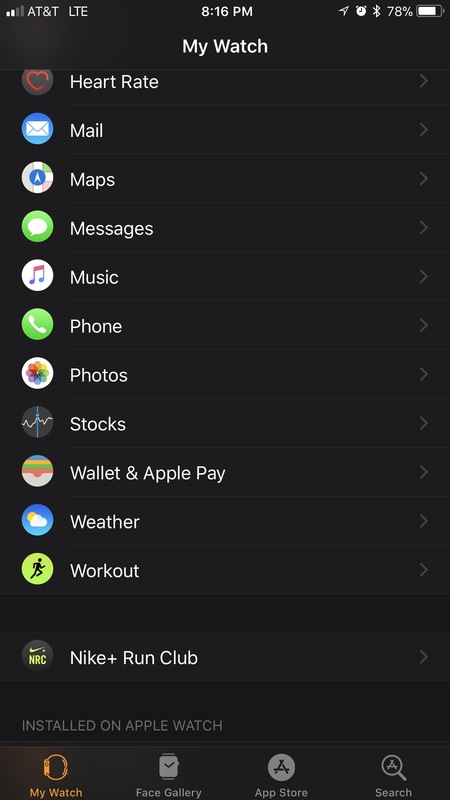 Also note the text in the picture above which states that the Apple Watch will only sync music when it’s on the charger. I can understand why this rule existed for the Series 0. However, it seems a little ironic and arbitrary now that we are about to get direct streaming from Apple Music on the Apple Watch. 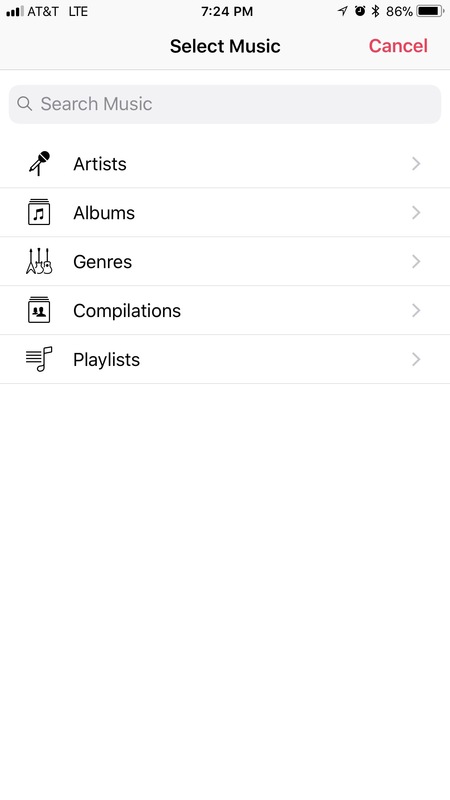 As for adding content from the rest of your music library, just use the Add Music Button below the Apple Playlists and to select what you want. 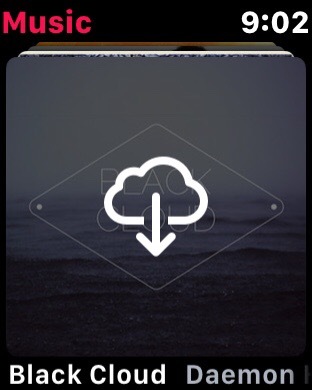 As you can see above, this brings up a very familiar iOS Music selection interface. Once you choose your content, it will appear below the Add Music button. There is a sync status at the top of the page, which in this case is still “Updating” because I was away from my charger when I added the last three items in this list. Once you are back on the charger, this page will show your sync status. 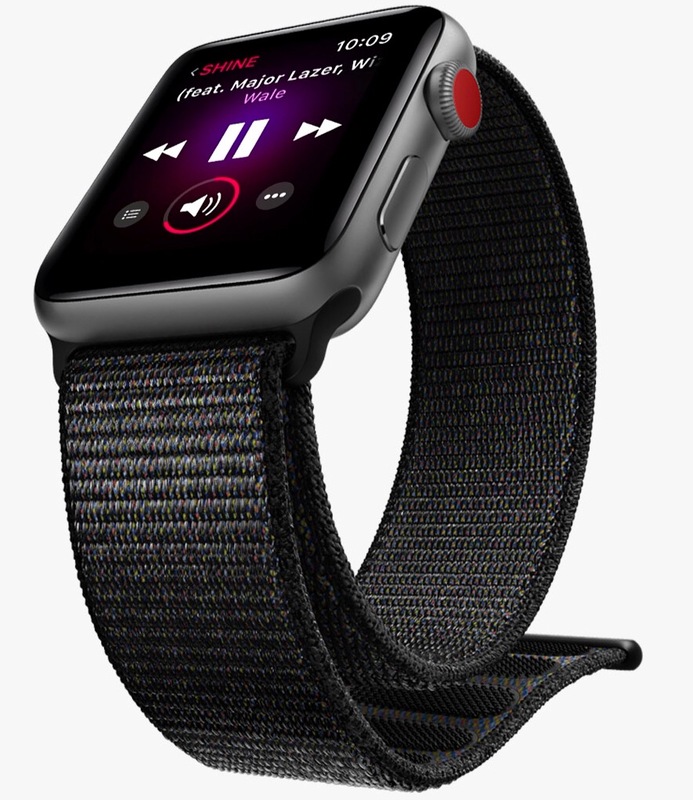 When you select your music from the Watch, you will be prompted for a method to play it. 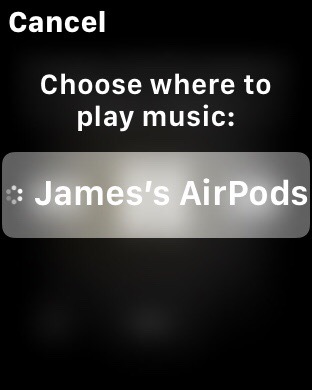 In my case it is a set of Apple AirPods, but any Bluetooth speakers, headphones, or earbuds will do if they are set up with the Watch and connected. If no Bluetooth connection method is available, the selection will cancel and go back to the Music app. Once you know where to go, this whole process is pretty straightforward. If you have an Apple Watch Series 3 with LTE and either a set of AirPods or another set of Bluetooth phones, then I highly suggest loading it up with music from your iTunes library and taking it for a spin without an iPhone connected. It is easy to get your music synced over, and it works great after the files are all moved. I would likely still be a doubter myself if I hadn’t tried it out after getting the Watch 3 with LTE, but the ease of use while out and about sealed it for me. I think a growing number of users will feel the same way thanks to the Watch’s new-found independence. Previous PostReview: The Power PackerNext PostAre Apple’s iPhone 8 Production Cuts a Red Flag, or Business as Usual? The LTE series 3 has 16 GB storage, and the non LTE has 8 GB.